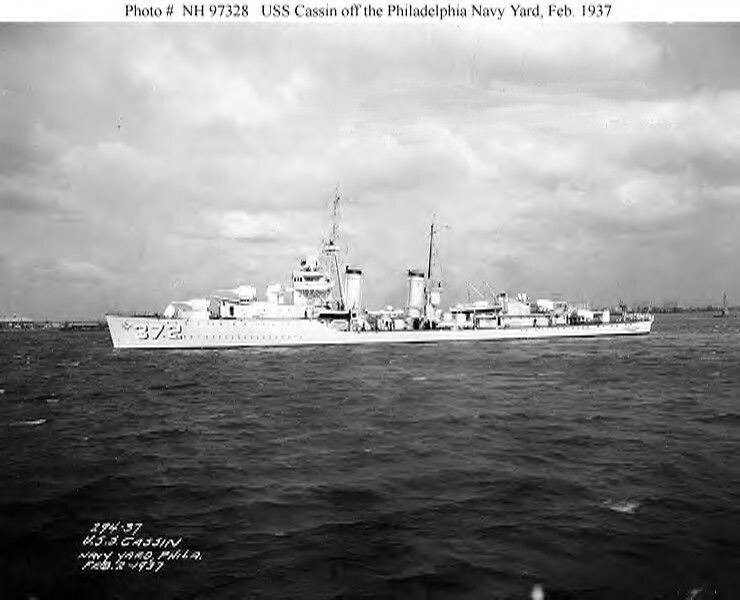 CLASS - MAHAN As Built. 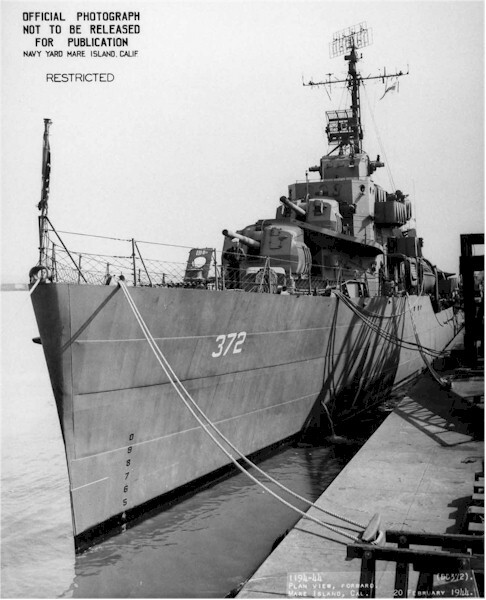 Armament 5 x 5"/38AA, 4 x 0.5" MG, 12 x 21" tt.(3x4). 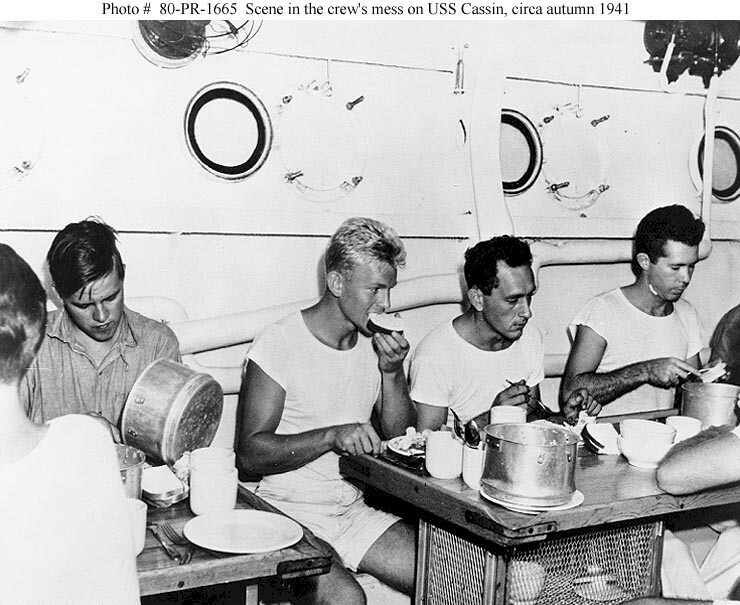 Speed, 36.5 Knots, Range 6500 NM@ 12 Knots, Crew 158. 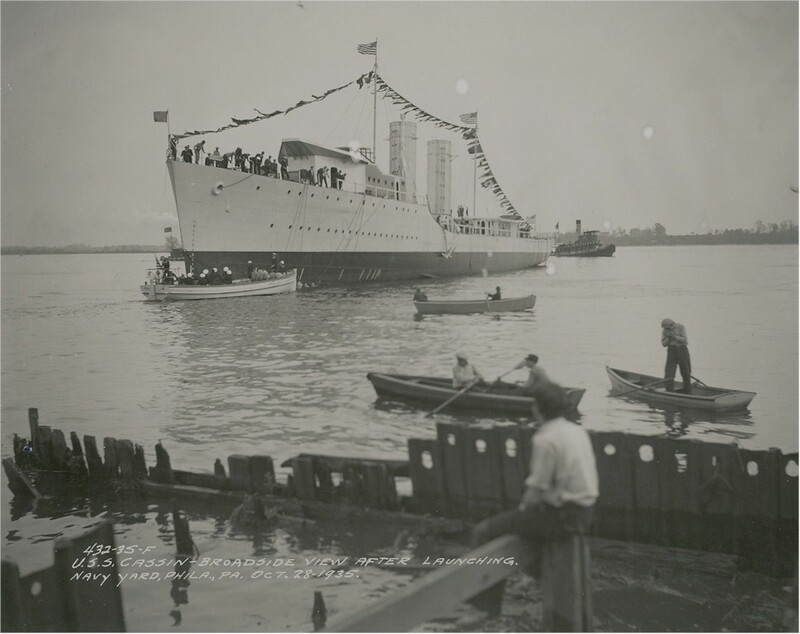 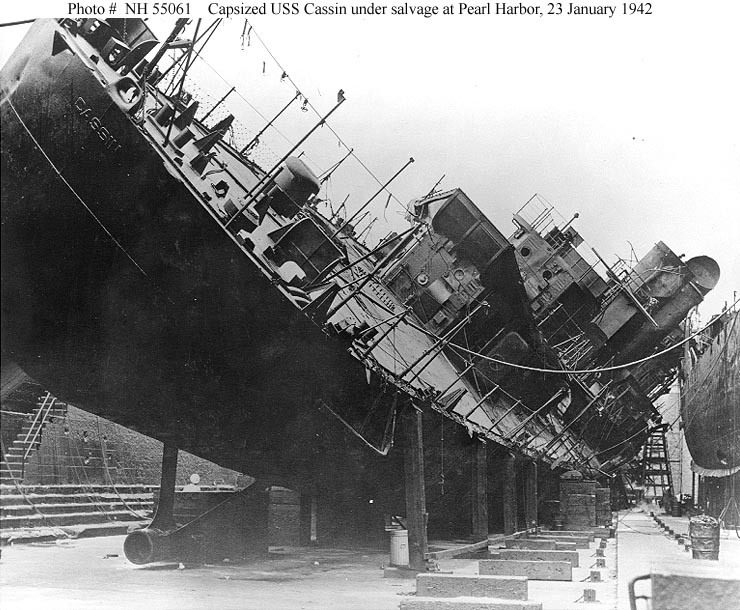 Laid down by Philadelphia Navy Yard October 1 1934. 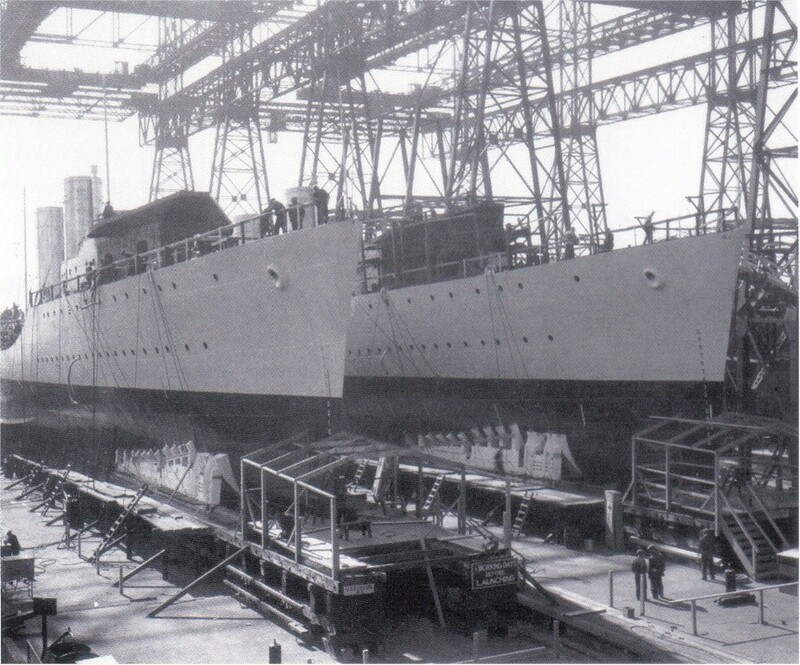 Launched October 28 1935 and commissioned August 21 1936. 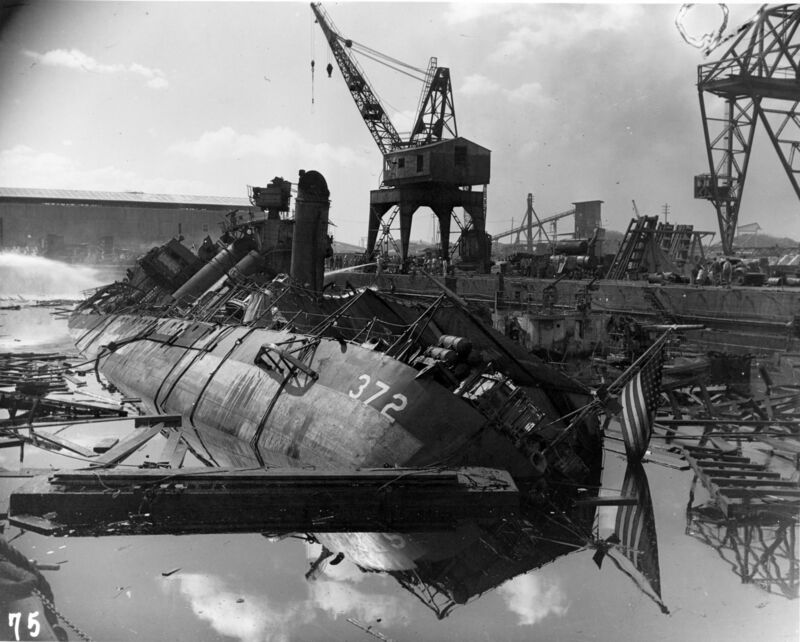 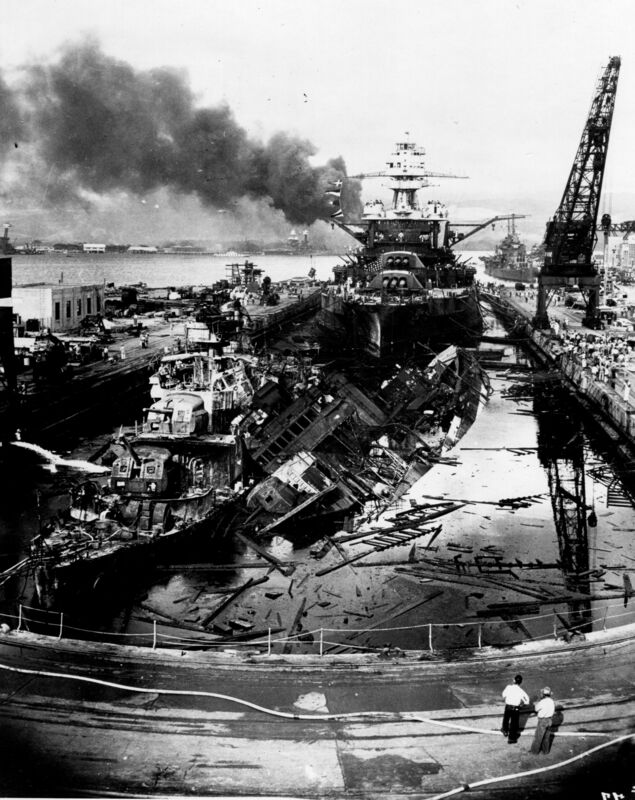 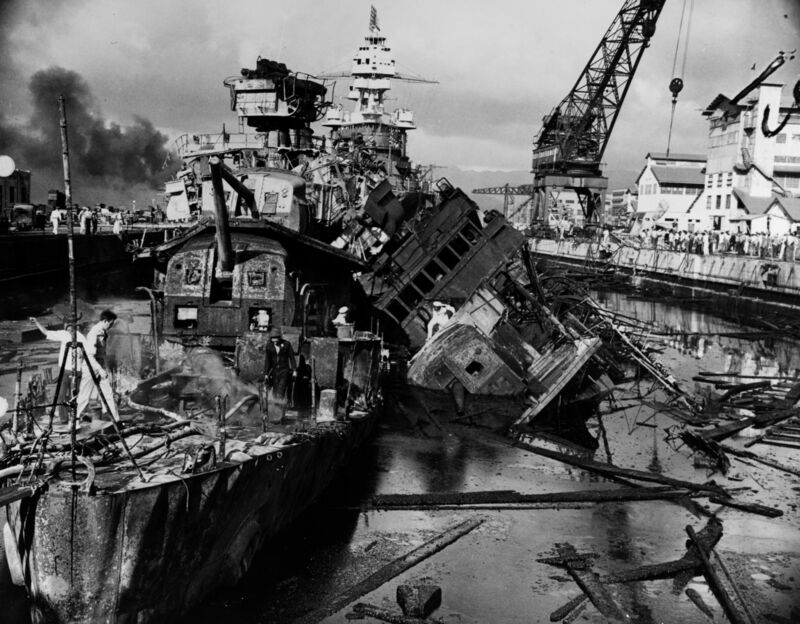 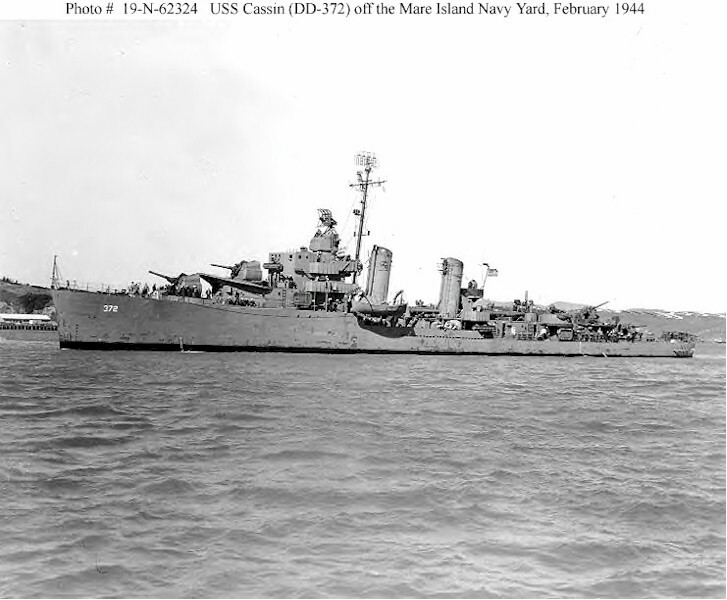 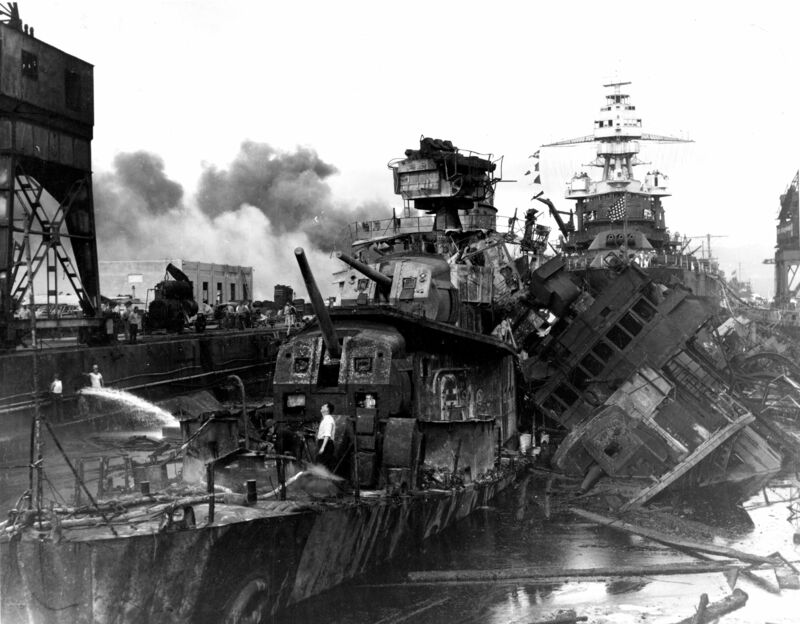 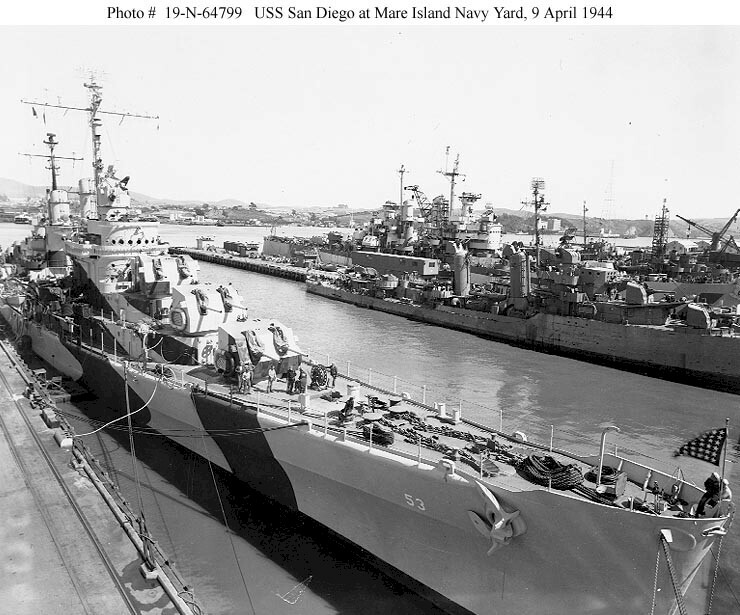 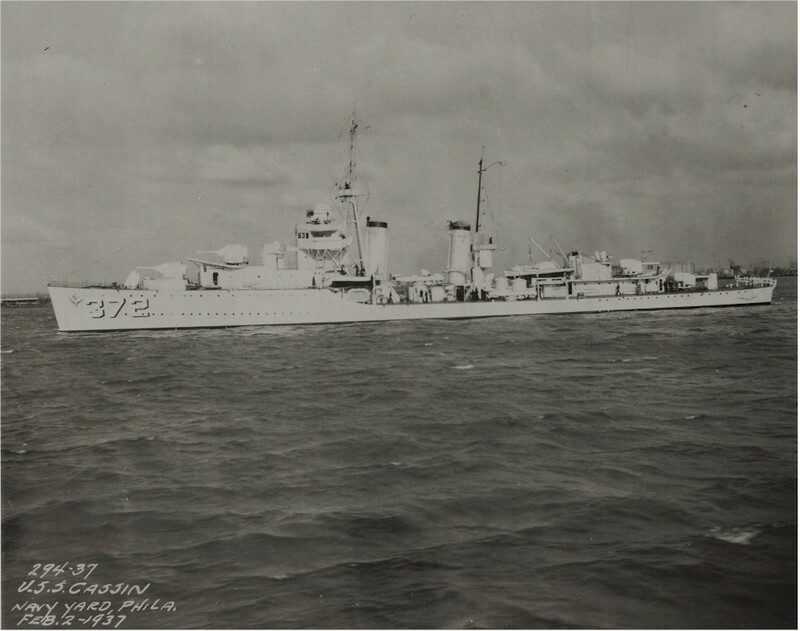 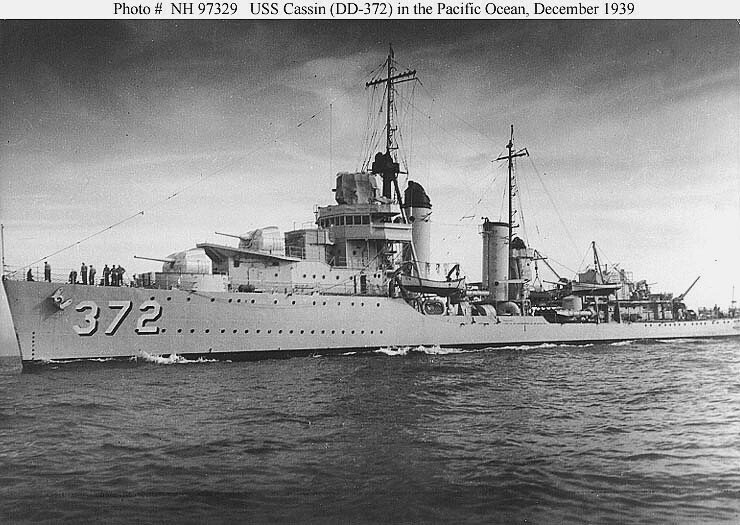 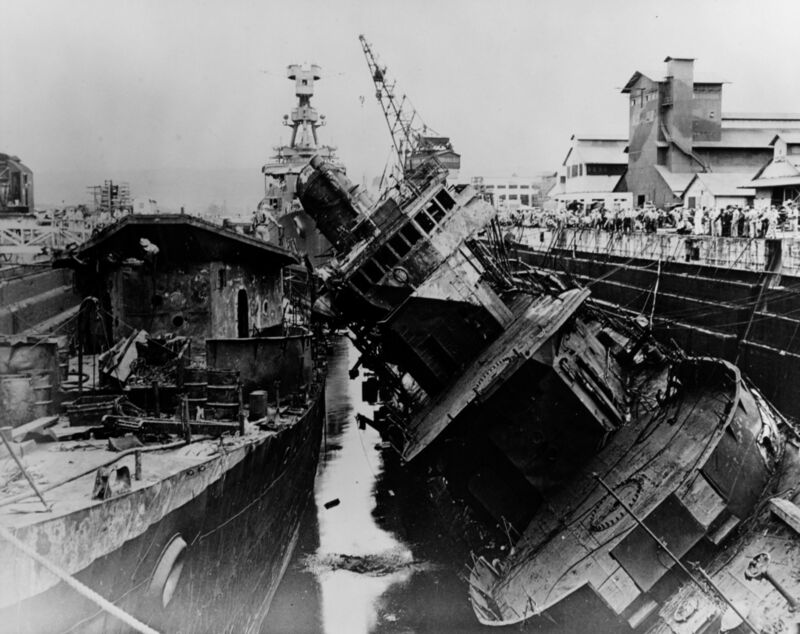 Cassin was all but destroyed in Japanese attack on Pearl Harbor. 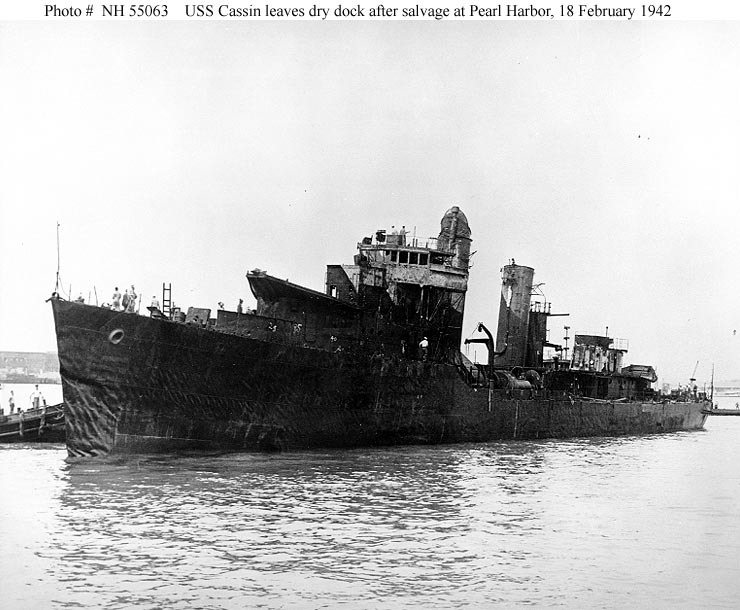 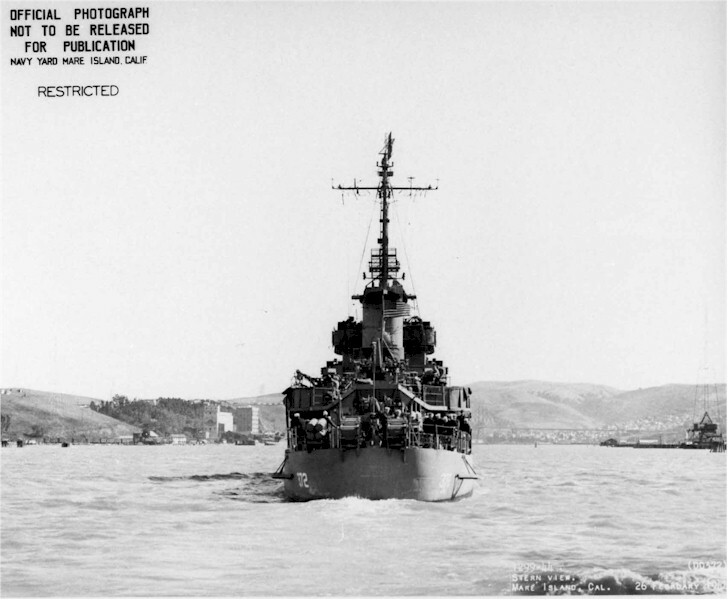 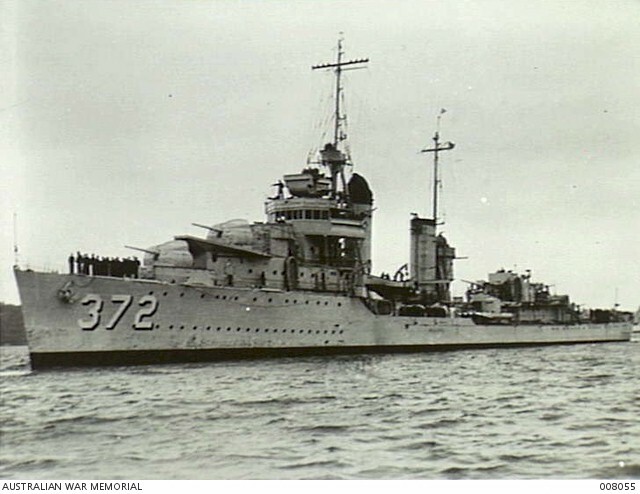 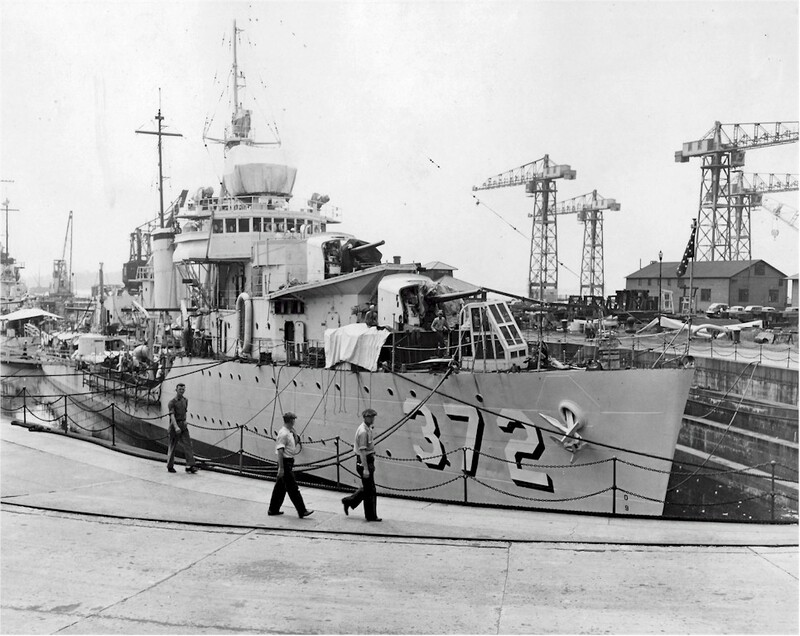 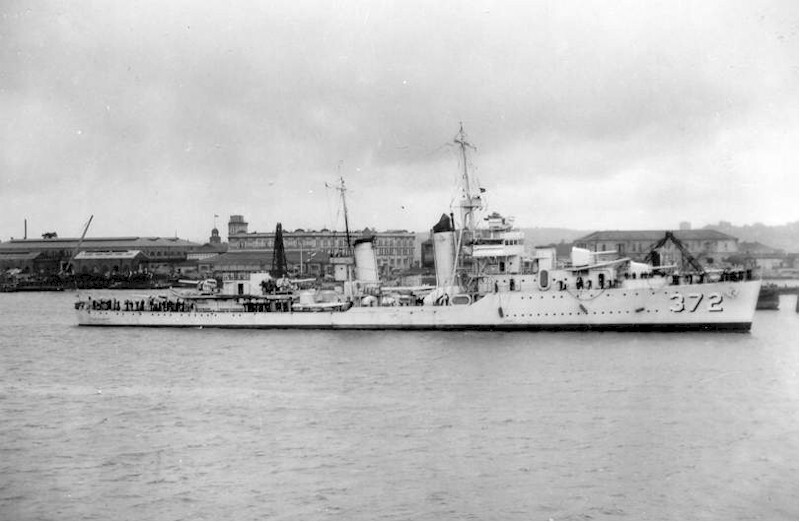 where Cassin was completely rebuilt in a new hull during 1942-43. 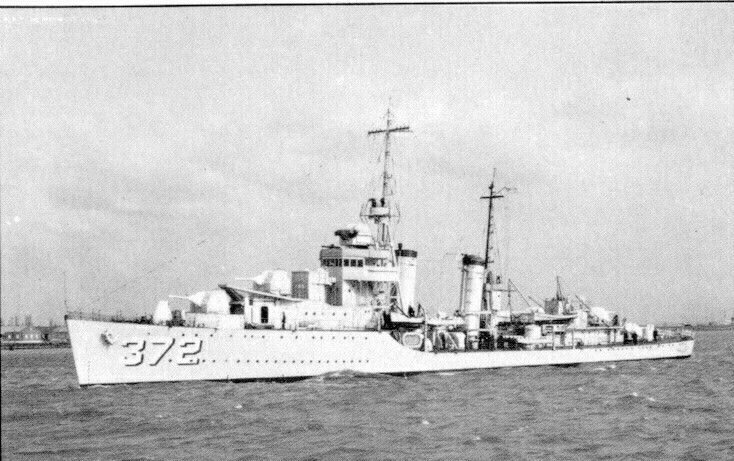 Fate Sold November 25 1947 and broken up for scrap. 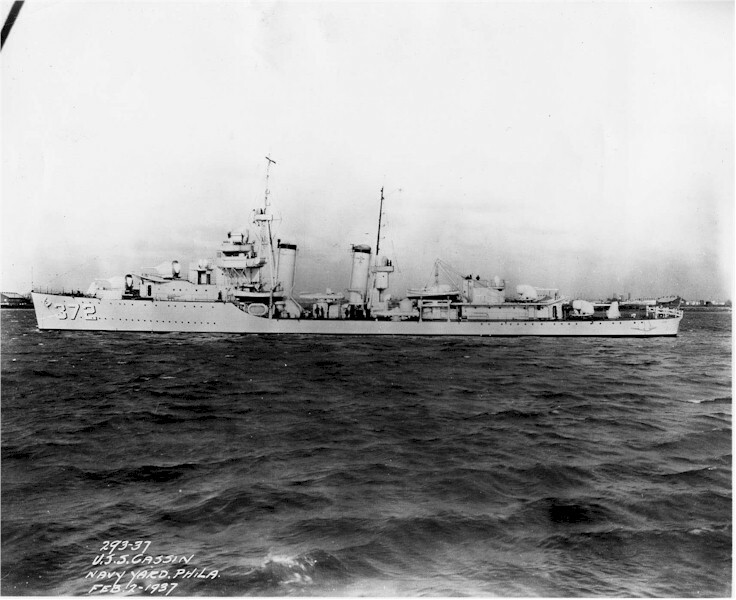 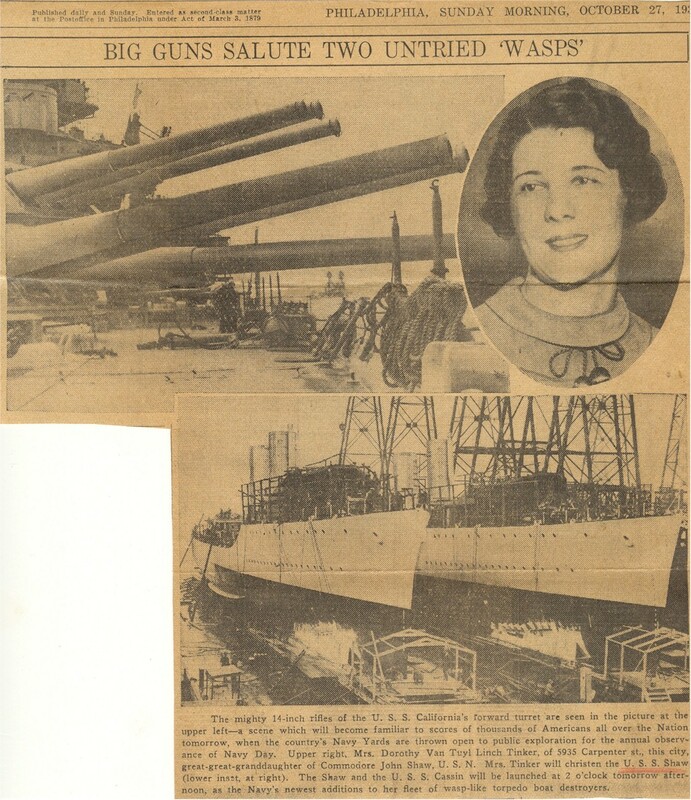 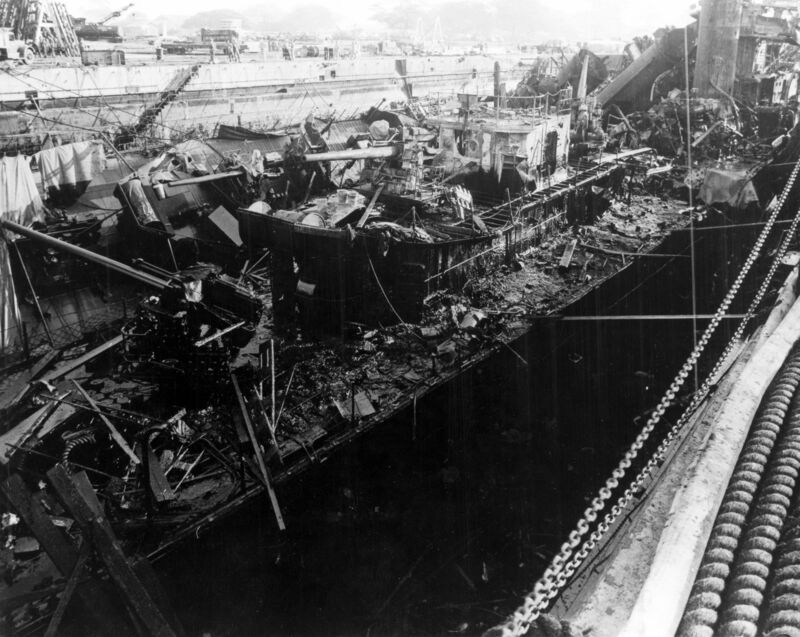 196k Philadelphia Navy Yard, August 18 1937, four civilian workmen were killed, 10 civilian and enlisted men (including an officer) were injured or scalded in an explosion aboard the new 1500-ton destroyer USS Cassin (DD-372) at the Philadelphia Navy Yard. 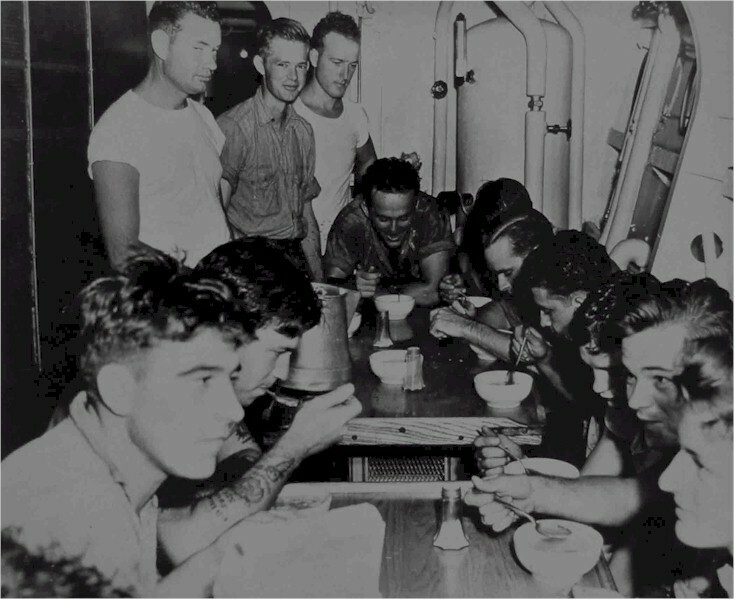 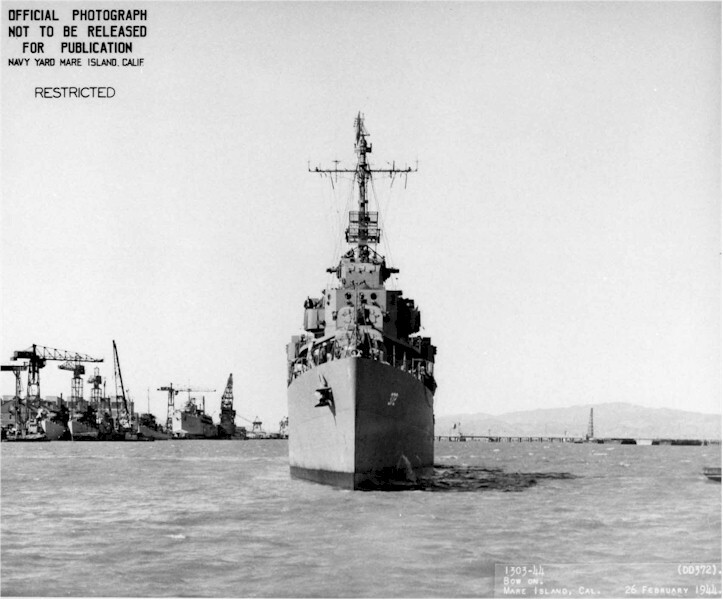 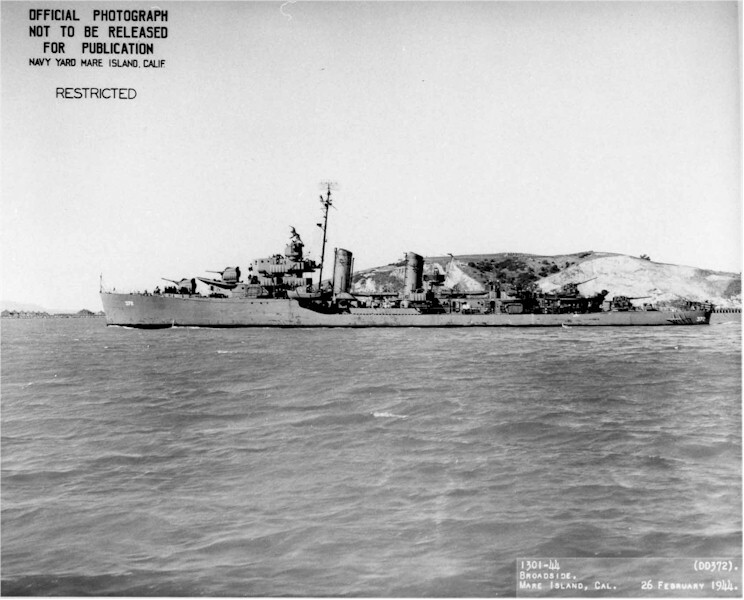 The above photo shows the U.S.S. 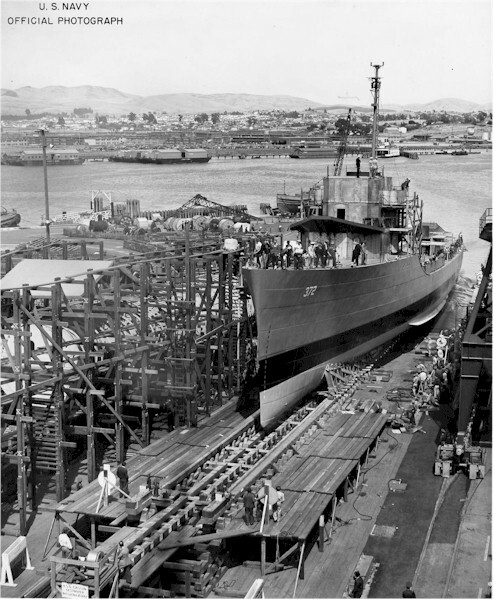 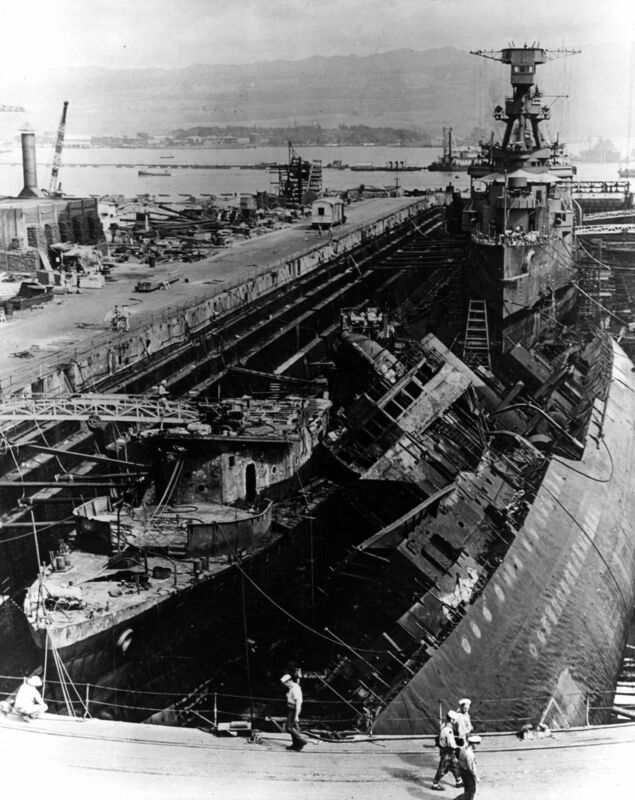 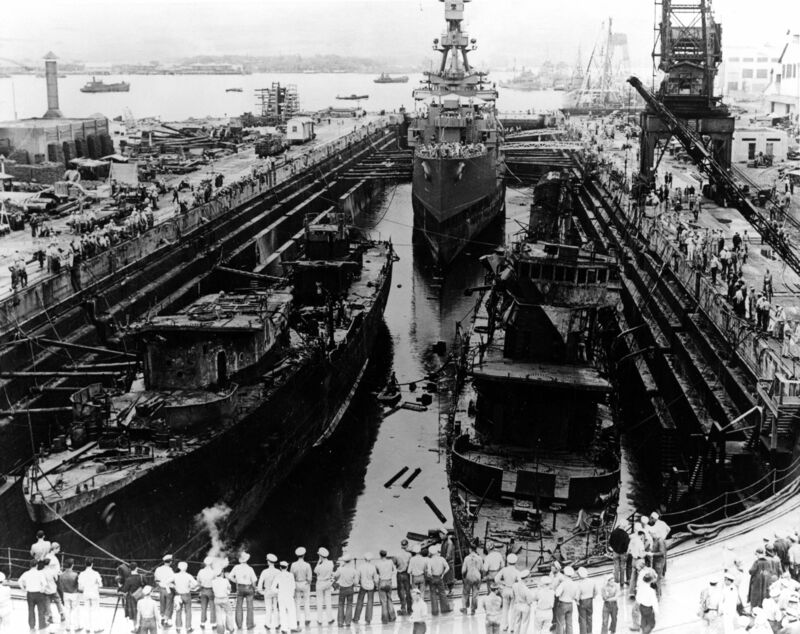 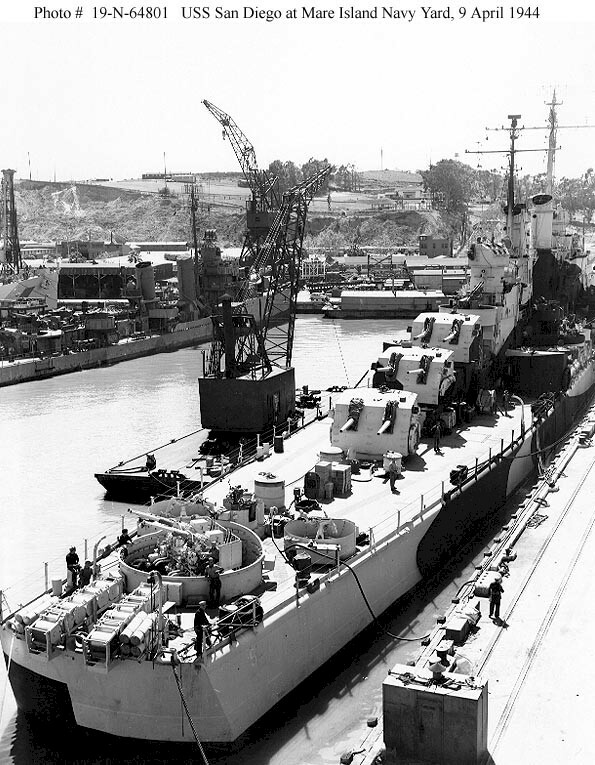 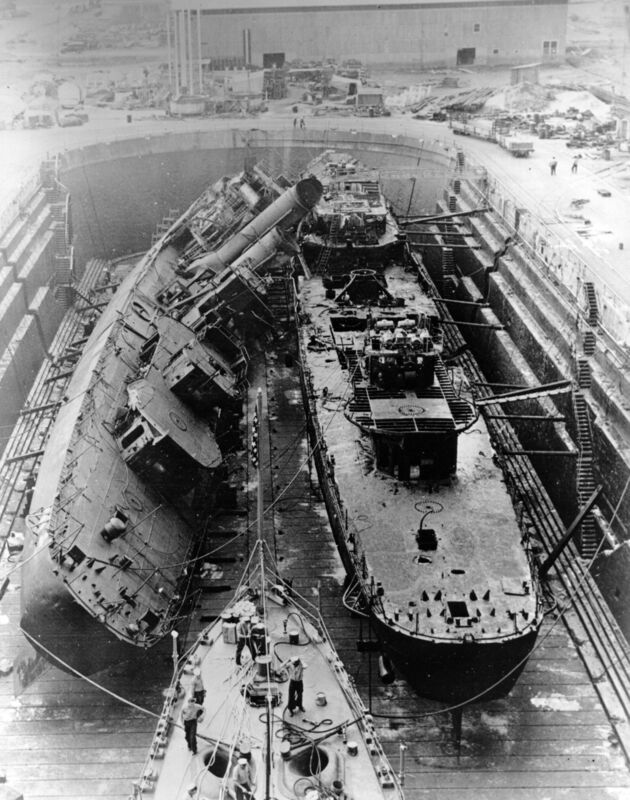 Navy destroyer Cassin in dry-docks at the Philadelphia Nay yard after the explosion for repairs. 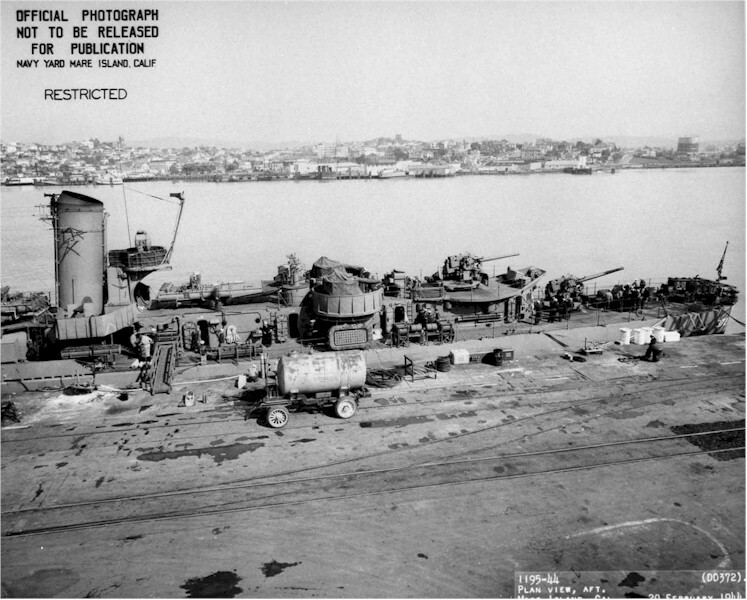 Photo courtesy of the Acme Newspictures. 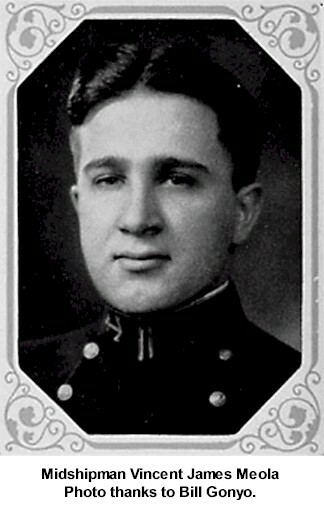 Bill Gonyo.